Hi there, I hope your spring season has been one filled with taking the time to listen to the birds, appreciating the green in nature and enjoying/smelling the flowers. Whether you are in the city or county, I hope that you enjoy these natural inspirations. Today was a tough homeschooling day, I wasn't sure what direction to take in regards to my children's homeschooling curriculum and felt overwhelmed by all the "great" resources out there and I honestly don't remember how I ended on Easy Peasy Homeschooling website (but I am very grateful to have ended up there). 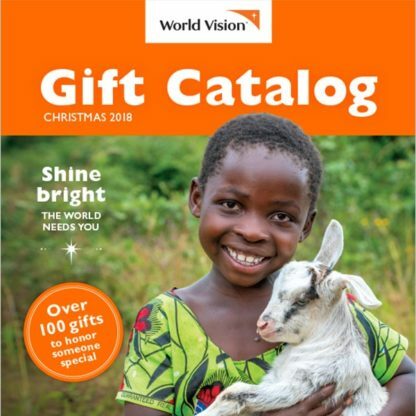 It is rich with resources and I am looking forward to reading more about it and using the available curriculum for my future homeschooling days. I hope you check it out and it becomes a resource that will encourage you on your homeschooling journey. Hi everyone, March has been a recovery month from the flu and personal health issues. But I'm grateful to Jesus for this time of recovery as it has helped me to reset some of my priorities in art and life. For the TpT goals I won't meet (silly holiday activities for each month), I'm bummed but feel hopeful new ideas will develop during my break from my online and computer work. Time to march onward and until fingers meet keys . . . I hope you have a creative and restful day! Hey there! I've been having such a fun time creating these silly holidays art activities. Stay tune as I'm working on holidays for each month. You can check out my January set here to prep for your next schooling year. 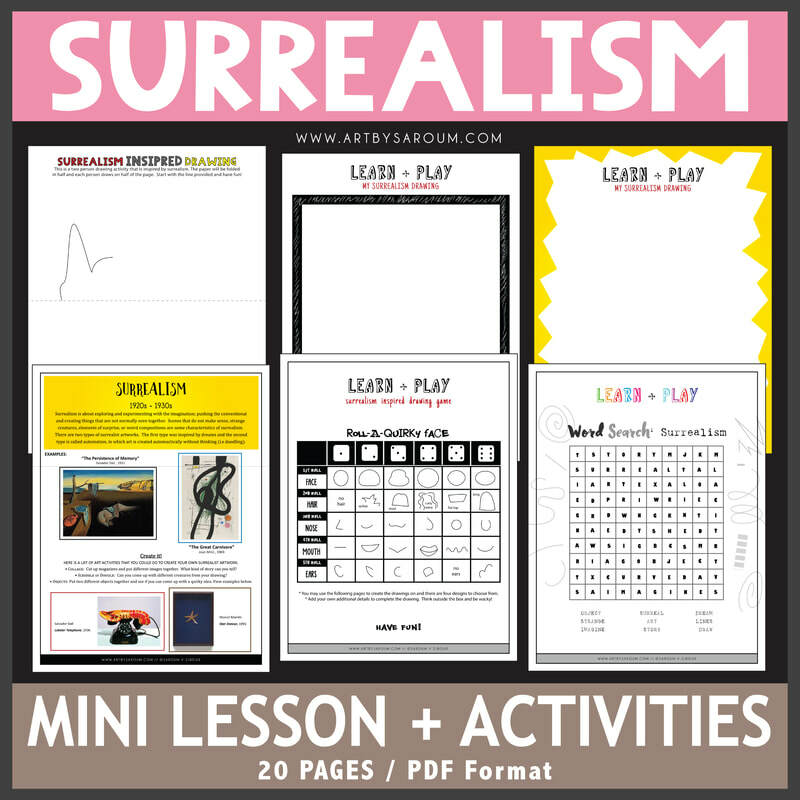 So celebrate the month of February with this bundle fill with art activities and fun printables that are great for early finishers, art centers, homeschool activities, substitute plans and critical thinking activities. There are drawing, coloring, crafts and writing activities, in addition to sticker sheets just for fun! And you can grab my Carrot Cake Day FREEBIES below; it is celebrated on February 3. Enjoy and eat a cake, make a cake or draw a cake. These are also available at my Teachers Pay Teachers shop. If you don't have an account and want access to free educational resources, sign up here for a free Teachers Pay Teachers account. Be sure to follow my shop. Enjoy this freebie in celebration of Carrot Cake Day on February 3 with these fun printables that are great for early finishers, art centers, homeschool activities, substitute plans and critical thinking activities. 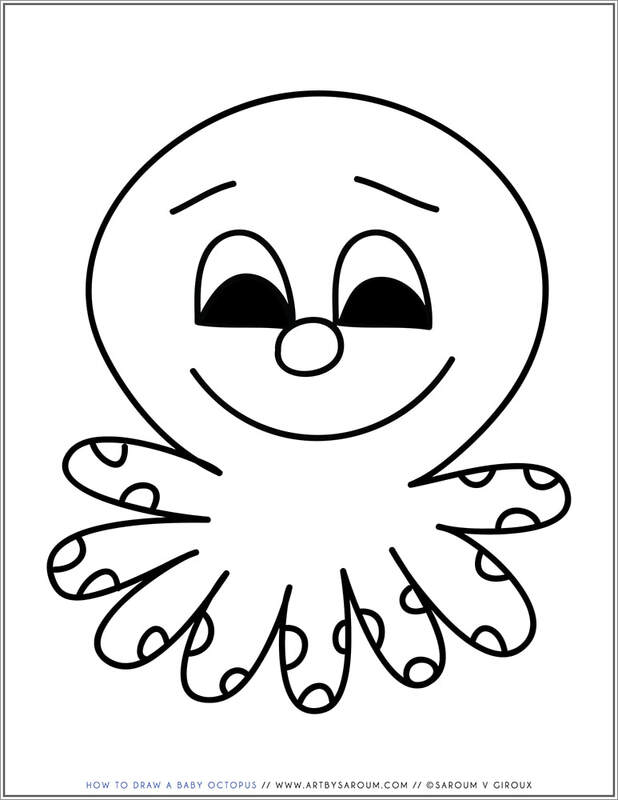 This is a PDF file with 10 printables of drawing, coloring, crafts and writing activities, in addition to sticker sheets just for fun! 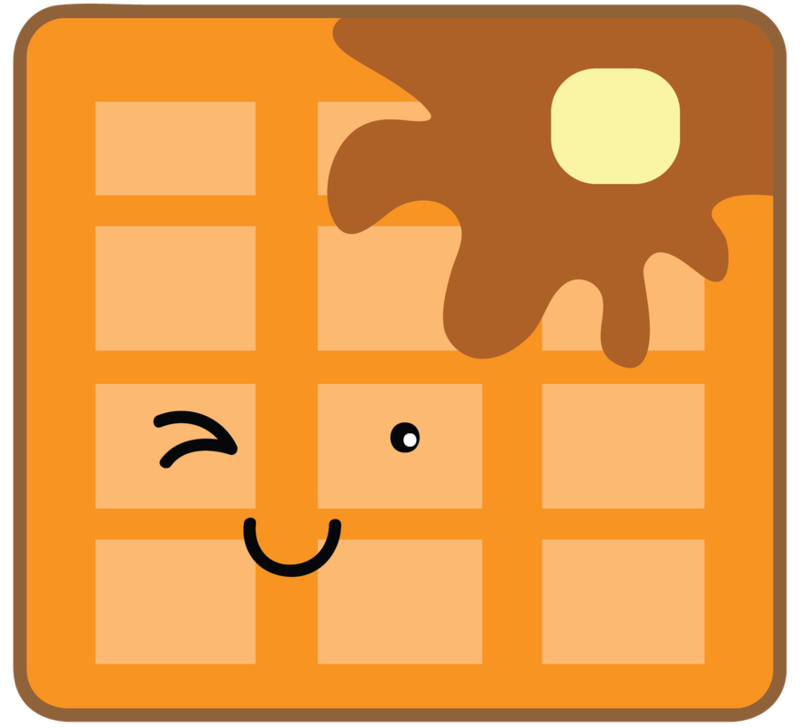 Puzzle Day is observed on January 29. 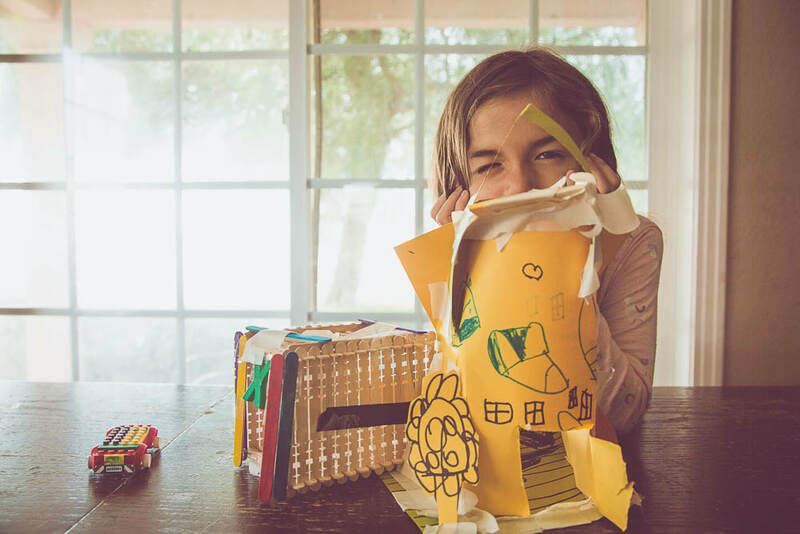 Download these fun art activities to celebrate this day and while you are at it, spend time with your family or students doing puzzles or word searches. Who doesn't love chocolate cake? Chocolate Cake Day is celebrated on January 27. Take a trip to your local bakery or make it a baking day with the family. Compliment Day is observed on January 24. 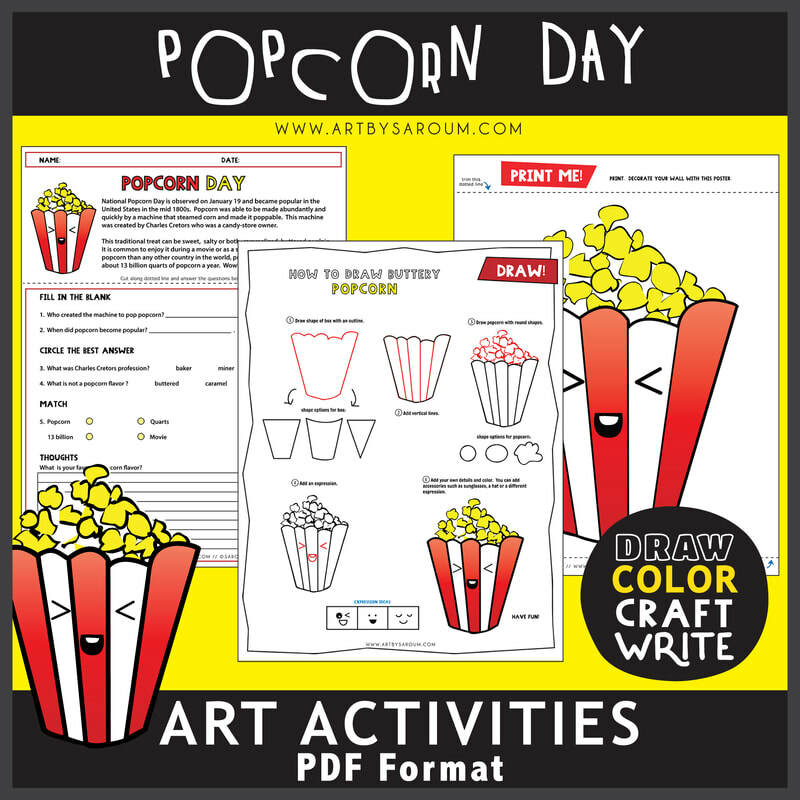 Download these fun art activities to celebrate this day and while you are at it, take a trip to the ice cream shop or your fridge and enjoy a strawberry ice cream cone. Strawberry Ice Cream Day is observed on January 15. 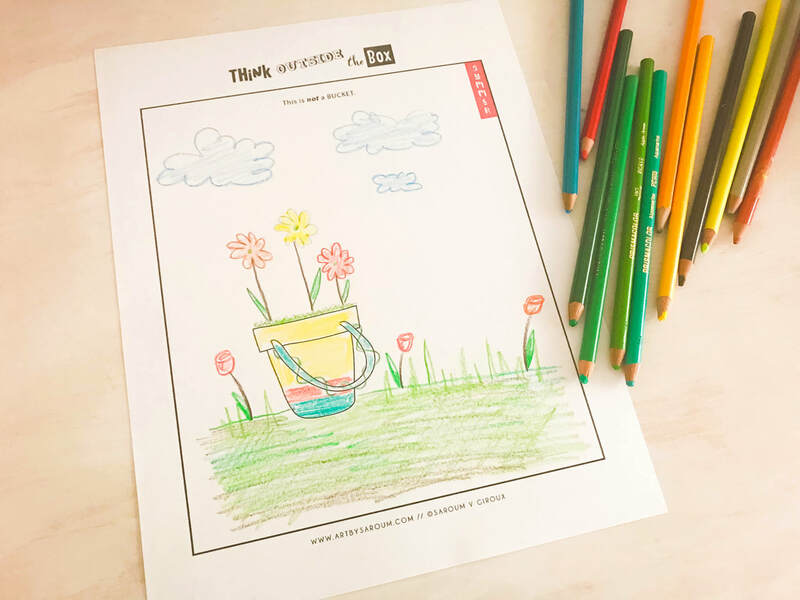 Download these fun art activities to celebrate this day and while you are at it, take a trip to the ice cream shop or your fridge and enjoy a strawberry ice cream cone. 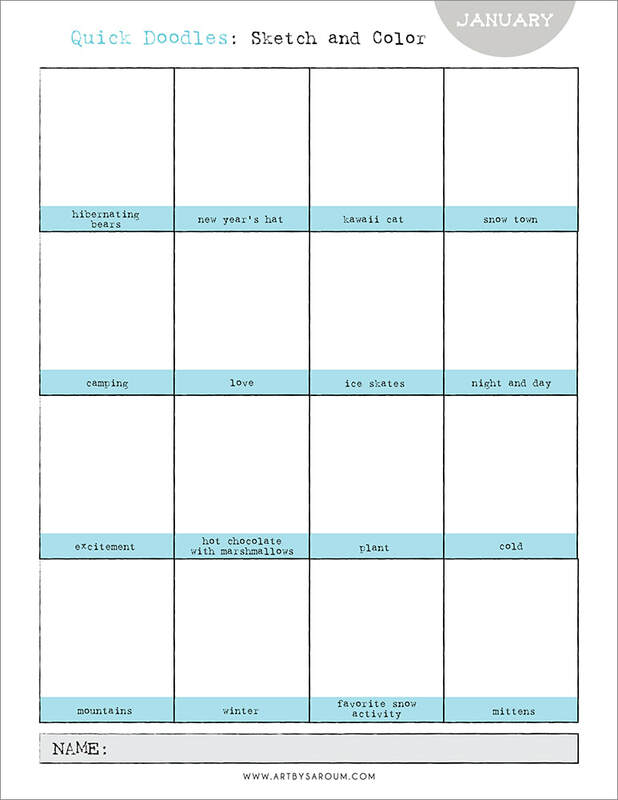 These printable drawing prompts for the month of January are no prep and great for early finishers, art centers, homeschool activities, substitute plans and critical thinking activities. 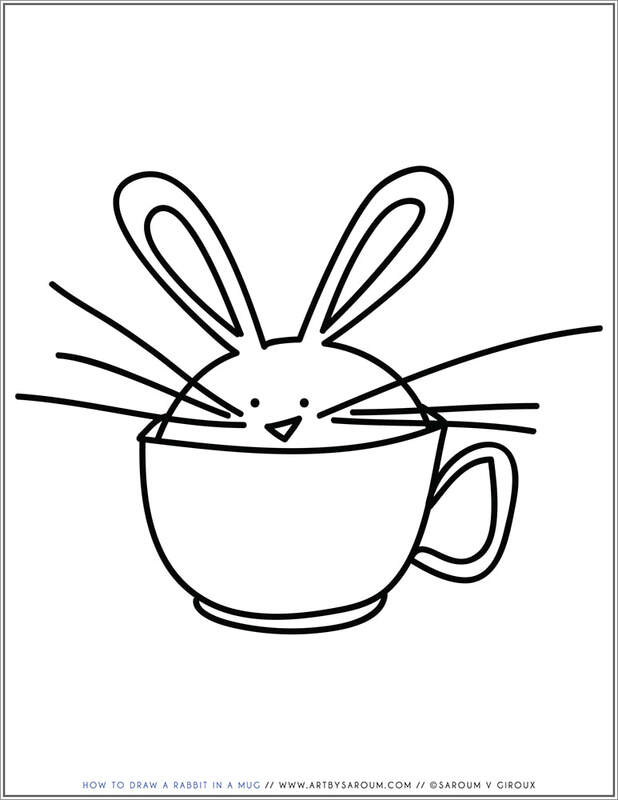 Enjoy this simple no prep drawing prompt freebie. 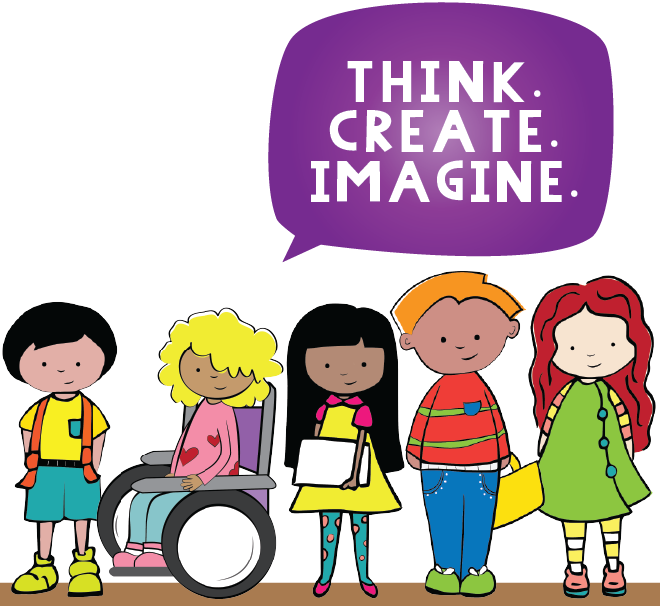 Get your kids brainstorming ideas and have fun seeing what they come up with. You can use this for early finishers and for your substitutes. ​Like this freebie? 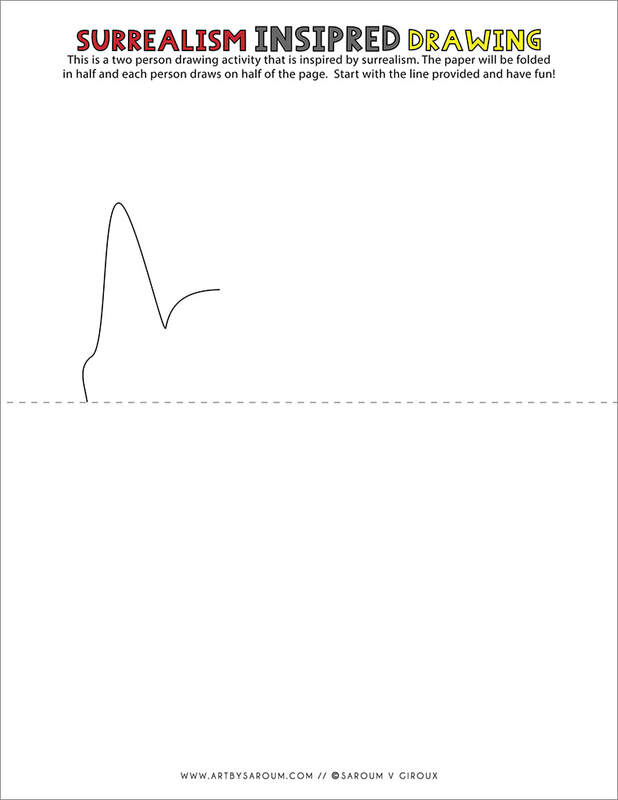 Check out more Drawing Activities. Who doesn't love stickers? 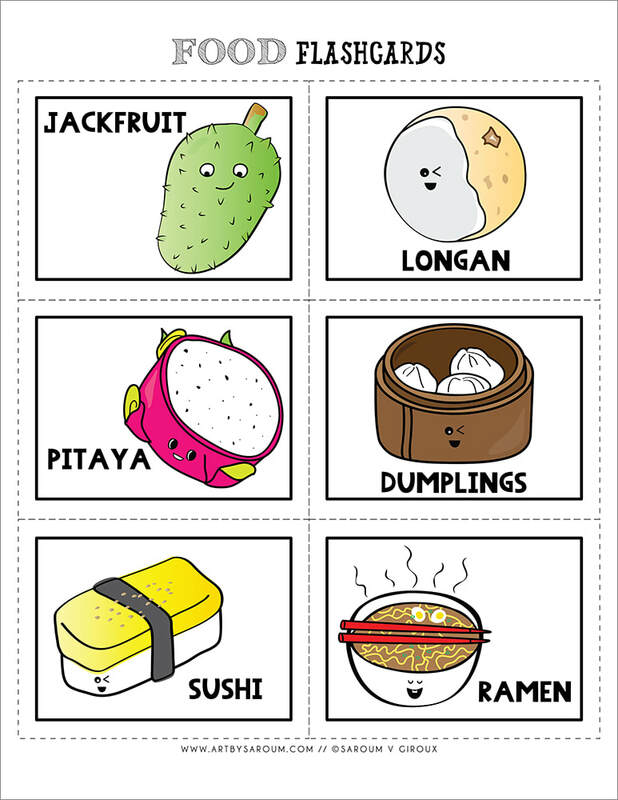 Here are some fun sticker sheets and drawing and coloring activities. I had such a great time creating these stickers and art activities. I hope you have fun when them! So many possibilities as to the uses for the stickers. Included in this download: 12 sticker sheets (a mix of kawaii, plain, color and solid black print outs of 12 Christmas tree designs with trimming options in outline or freehand and 3 drawing andcoloring activities. This is a fun collection of Christmas inspire drawing and coloring pages including Imagination Workout Pages, Surrealism Christmas Drawing Game, Silhouette Doodle Draw, Winter Tree Drawing Prompt, Copy Art Pages, Ornament Doodles, Pop Art Whimsy Snowman Page, Art Vocabulary Sheet and Coloring Pages. Have Fun! I stumbled upon this adorable website and thought you would have fun with these 3d paper craft alphabet projects. Since my resources are mainly 2d projects, I thought you'll enjoy trying this out. Visit DIGITPROP and have fun. 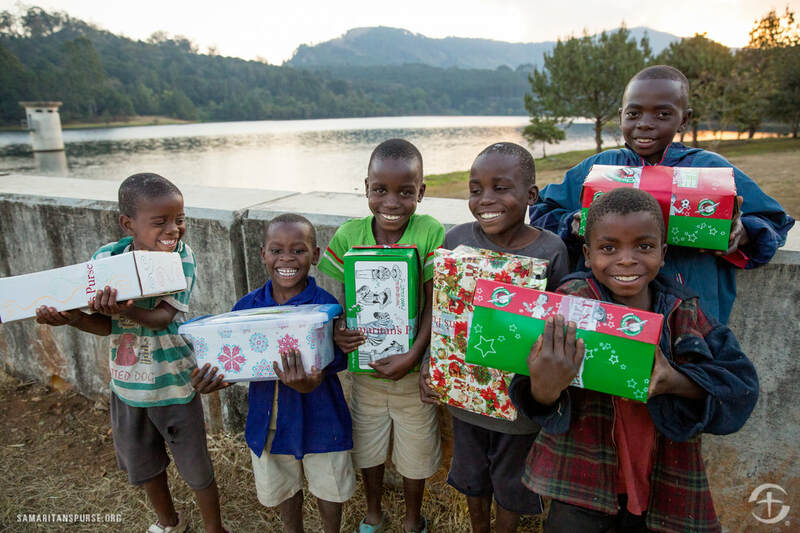 During this Christmas season, help send the simple gift of a shoebox filled with gifts for a child in need. This is a great way to get your children involved and have them live out the true meaning of kindness. 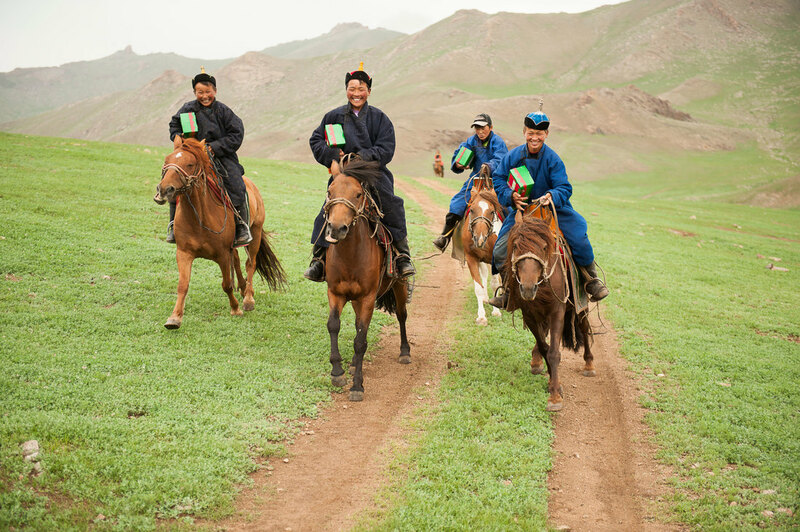 Children can track where their gifts end up and even make a new pen pal from across the globe! I hope that you'll get involved and participate. 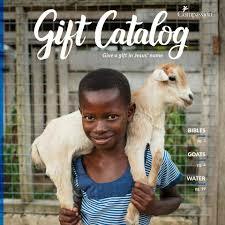 Visit Samaritan's Purse Operation Christmas Child for more details or check your local community/church to see if they are already involved to pick up a shoebox and list. The last day to pack a shoebox is November 19 and I hope you have fun! God bless and have a wonderful holiday season. This is a great set to use for an art lesson on Surrealism. 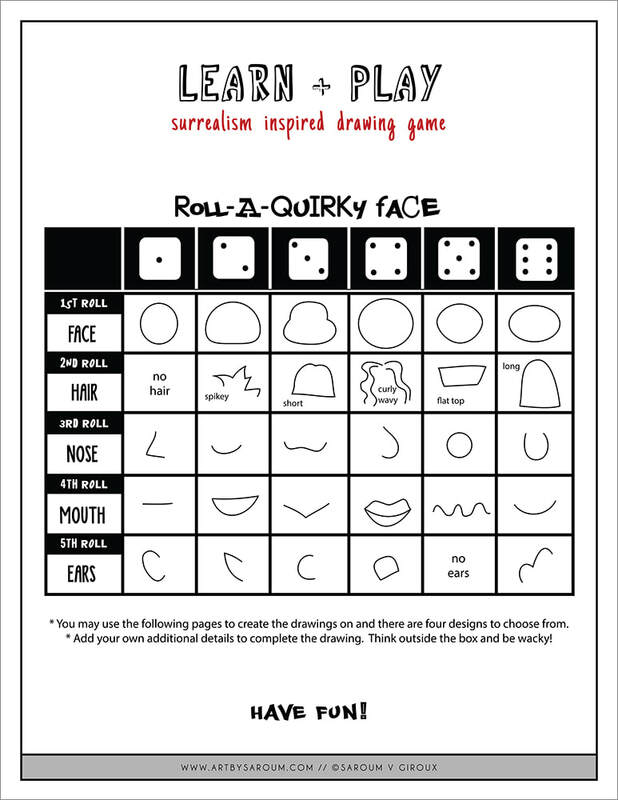 Included in this download: 10 Surrealism Drawing Activity, 2 Blank Templates to create your own, 1 Page Handout Lesson, 2 Pages of Games: Word Search and Roll-a-Quirky-Face Drawing, and 4 Pages of Unique Designs to use for the drawings from the Roll-a-Quirky-Face Drawing Game. I wanted to say Hi and hope that this November is full of blessings and a grateful heart. Remember to be kind, creative and think outside the box with your fall projects. 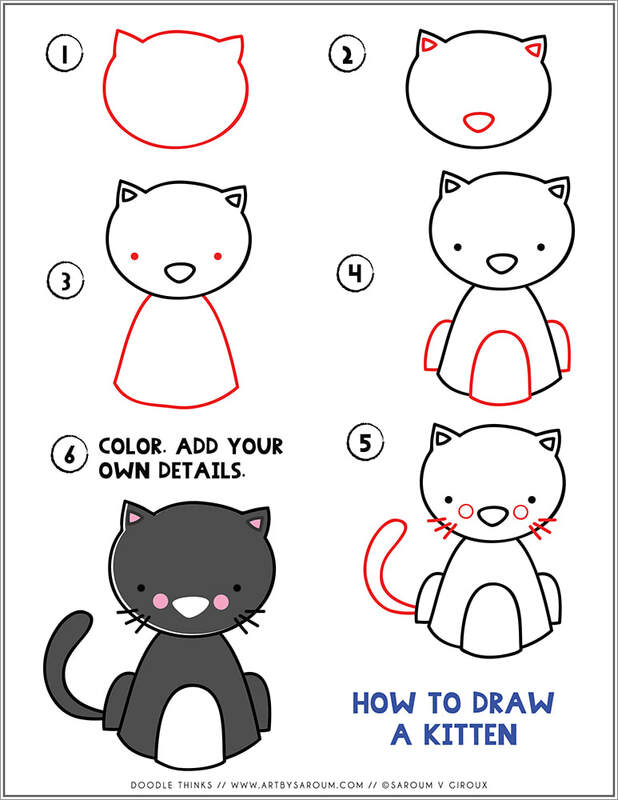 Have fun with this quick drawing lesson of a sweet kitten to share with your students or kiddos. 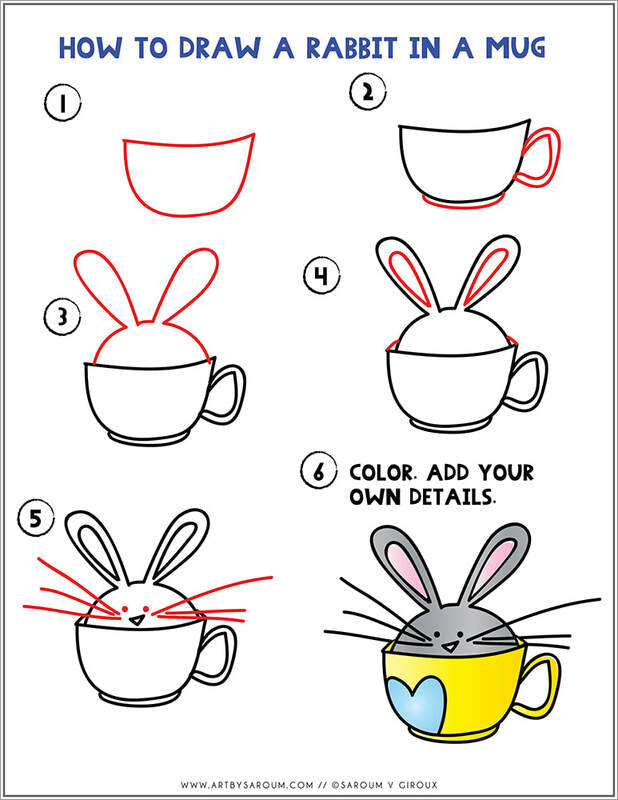 Get creative and add more details, then color and have fun! 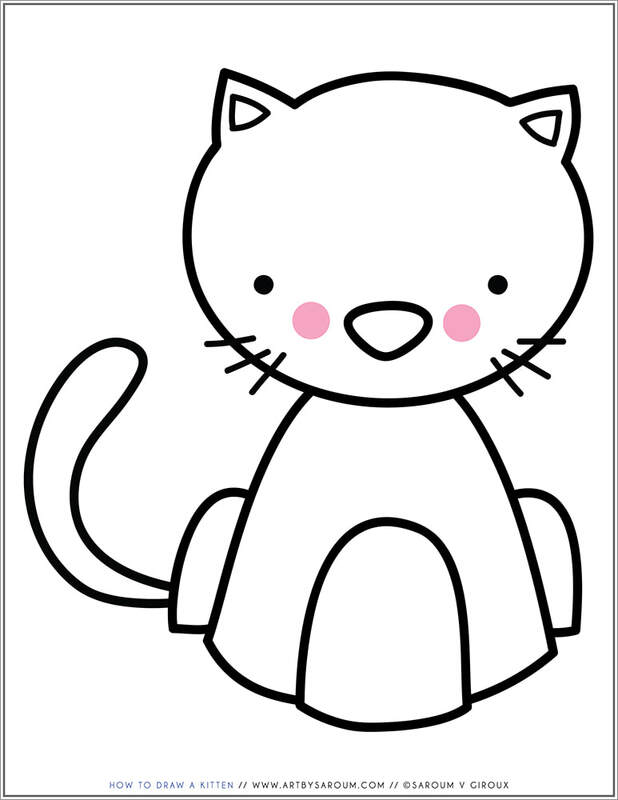 Create multiple drawings with different types of kitten breeds; a great lesson on cats. 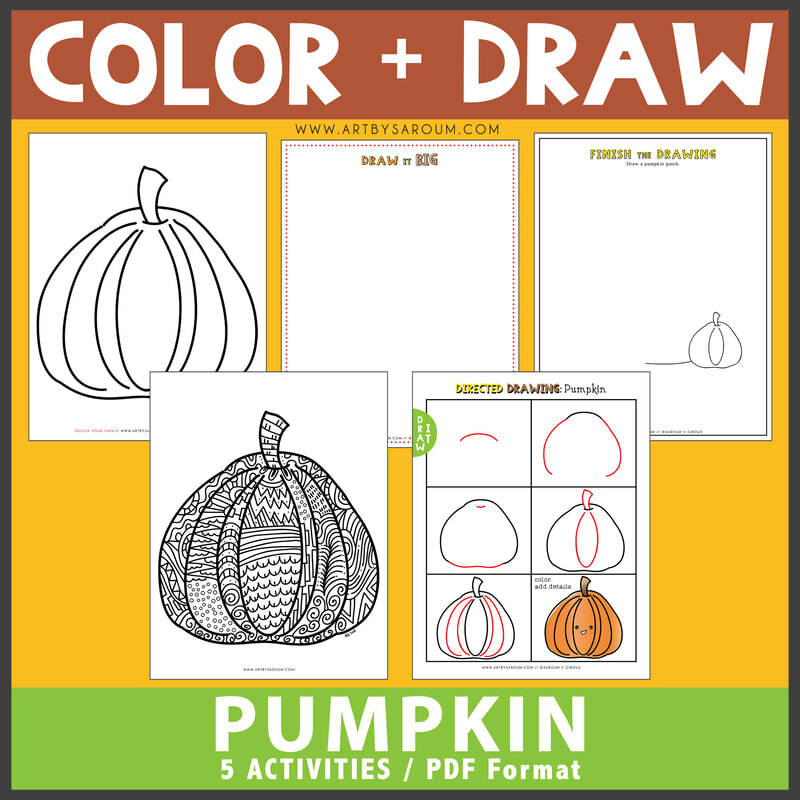 Celebrate autumn with these 5 fun and no prep activities which include (1) directed drawing of a pumpkin, (1) draw it big page, (1) finish the drawing activity page, (1) coloring page of pumpkin to explore patterns, shapes, and design, and (1) design-your-own pumpkin activity page. Great price and lots of fun! 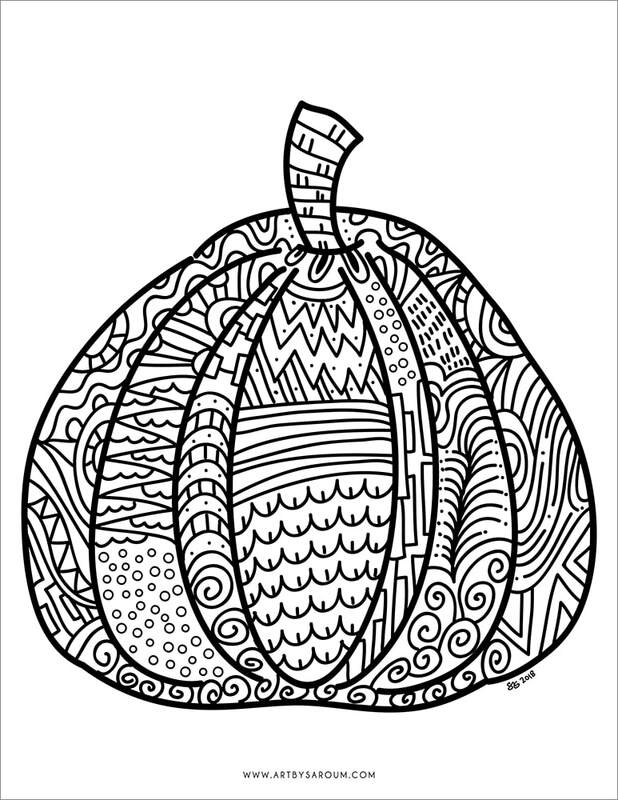 Have fun with this quick drawing lesson to share with your students or kiddos. This will be a perfect add-on to marine life lessons. 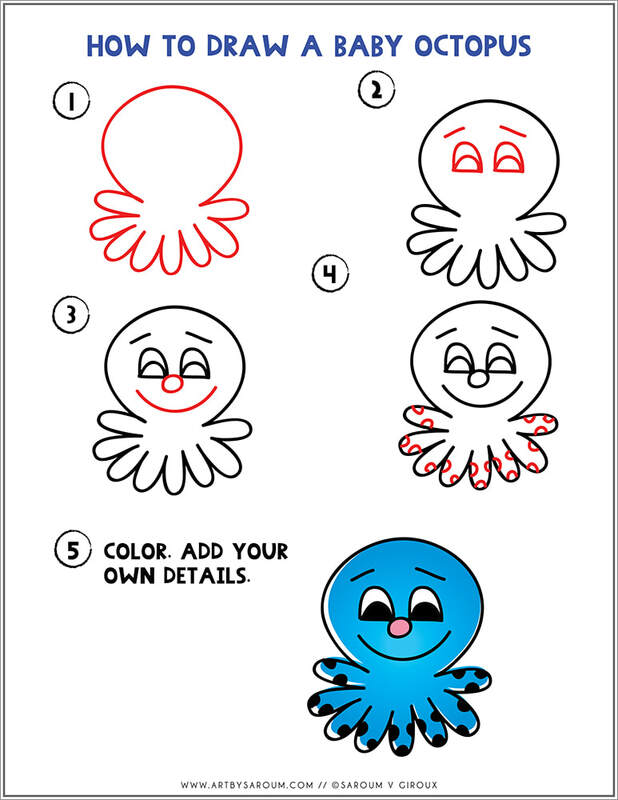 Get creative and add more details, then color and have fun! 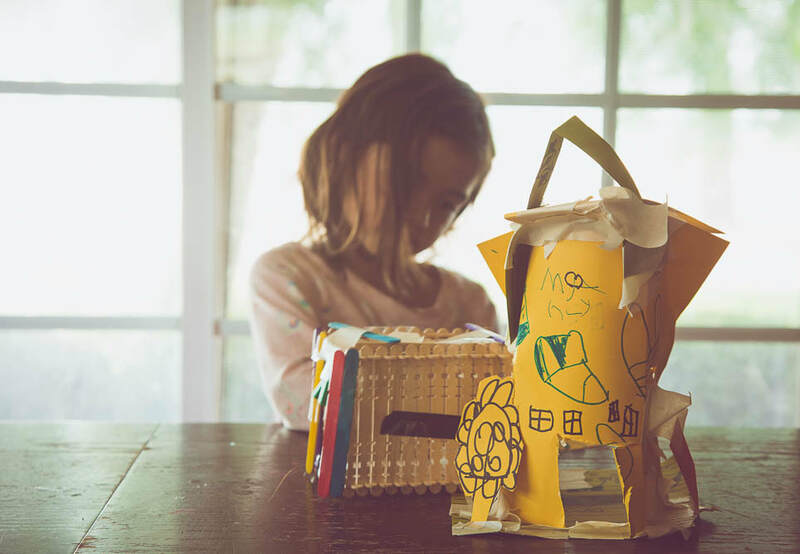 Sometimes crafts and art projects do not have to be planned out or with step-by-step instructions. With children, all we need to do is provide the materials, tools and environment and just allow them to create freely. My 6 year old sweet girl is quite happy with this piece and I encourage you to do this with all ages. *Materials used are card stock paper, craft sticks, and markers (you can use any drawing tools). She also used a magnet alphabet and legos for the vehicle. 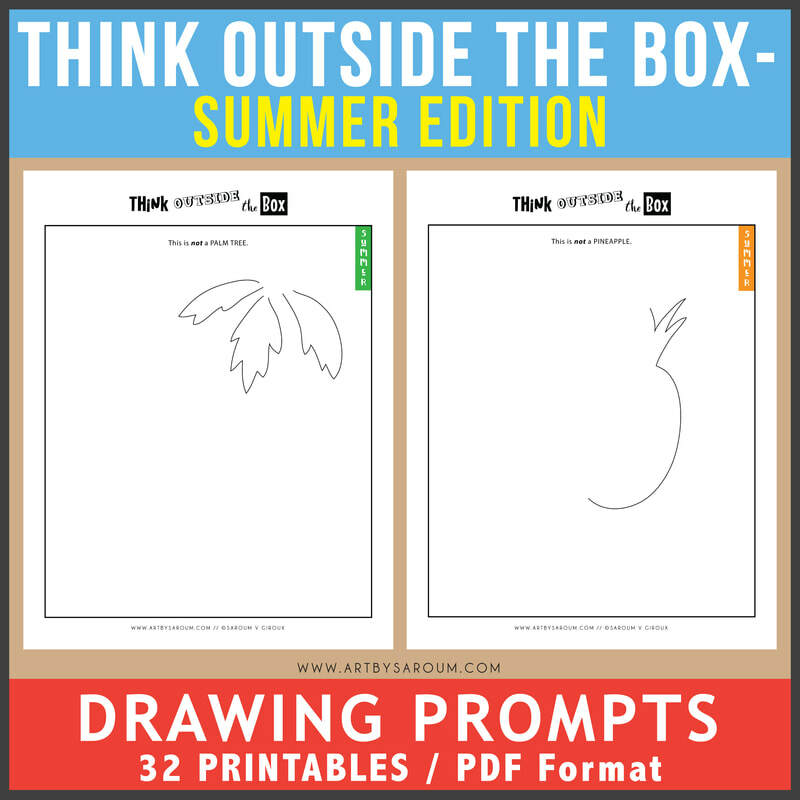 With a summer theme in mind, in this download there are challenging and creative drawing activities that will nurture your artists' creative juices. 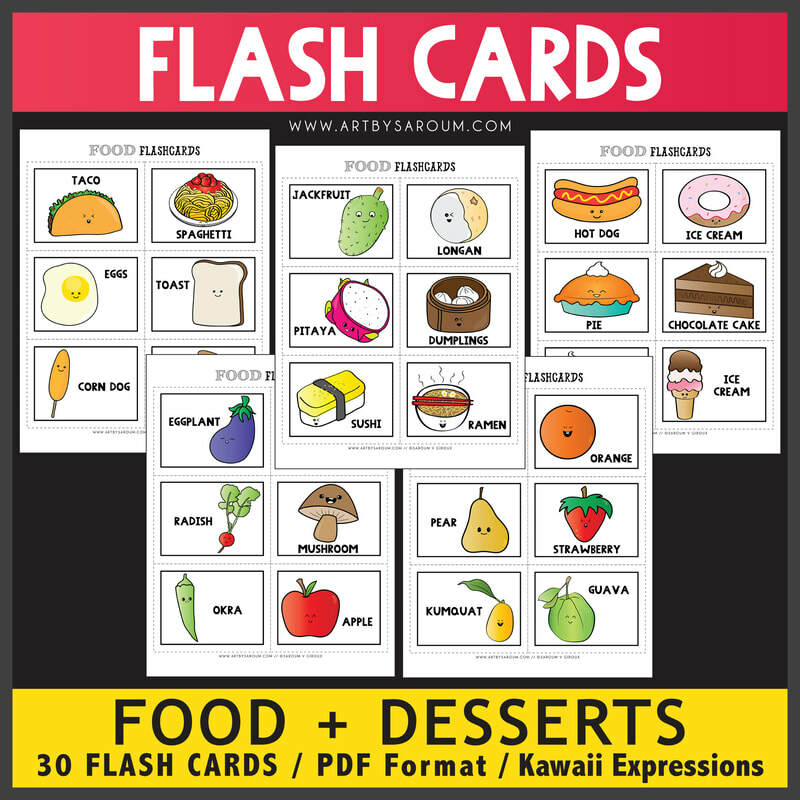 There are 32 drawing prompts that could be use during the summer or all year round. 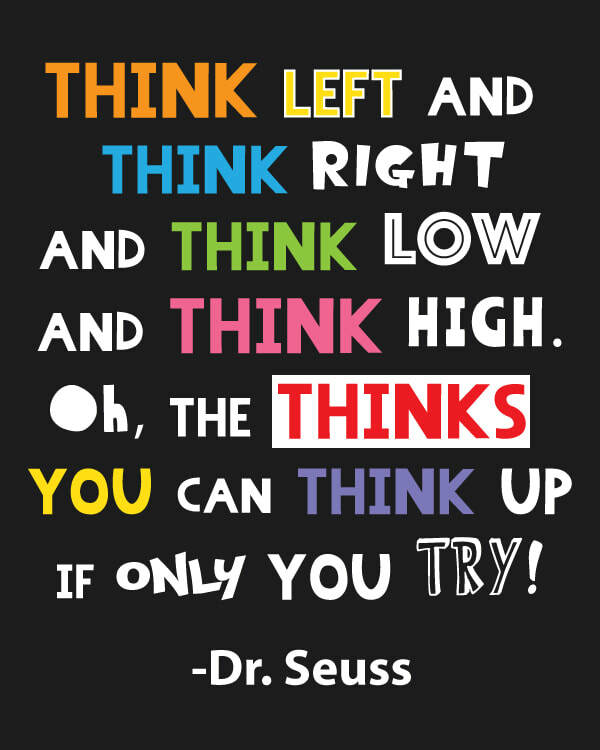 This is a great way to nurture creative and critical thinking skills. Have fun!